Air Force Security Forces New Objective Molds Lethality, Readiness - USA Patriotism! In October 2017, Secretary of Defense James Mattis published guidance for all Department of Defense personnel which included the importance and push to promote readiness within the military and evolving our current forces to become more lethal. Recently activated under the Missile Security Operating Concept, the U.S. Air Force 841st Missile Security Forces Squadron achieved this vision by establishing a new objective. This new objective, called Guardian Edge, empowers Airmen of all ranks to take charge and test their mettle to increase lethality and readiness while maintaining a nuclear defense. 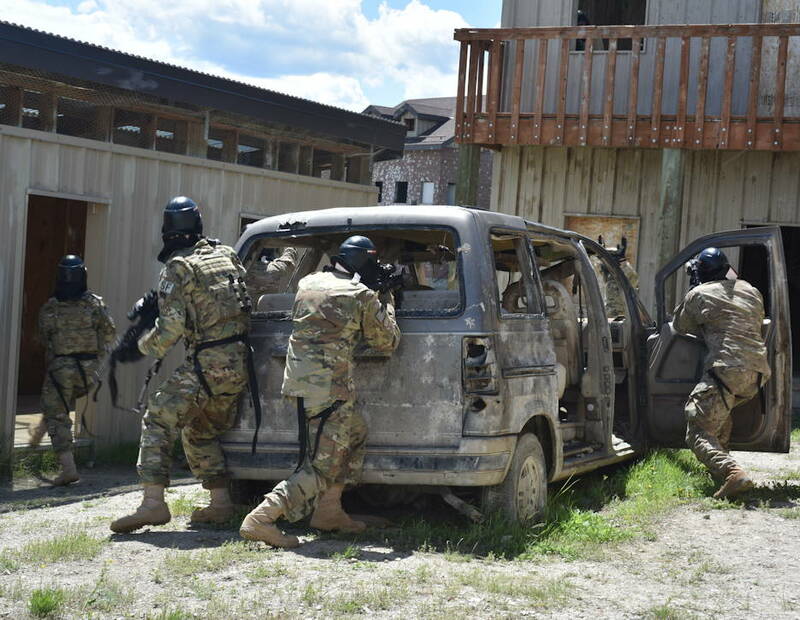 “The goal is to have more realistic and operational training to build fundamentals of being a security forces defender, compared to a nuclear cop,” said Fuller. “We’re trying to build communications, weapon skills, weapons knowledge and trust between Airmen and their NCOs,” he continued. On training days, the senior-most senior airmen to staff sergeants teach classes to build skills, knowledge and tailor procedures to their own individual groups. Airmen are guided step by step on how to complete an objective before they take the task upon themselves to carry it out without assistance. After approximately eight weeks of training, flights of Airmen travel to Fort Harrison, Montana, to test the fruition of their training, utilizing numerous obstacle courses and firing ranges to improve their skills and run through real-world scenarios. In the future, the squadron hopes to tie other squadrons into their training, such as the 341st Civil Engineer Squadron with explosives support, or cooperating with the 40th Helicopter Squadron for training involving aircraft. Although Guardian Edge is new, the squadron plans to make it into a norm and perhaps one day, a norm Air Force-wide.